InRhythm was formed in 2003 when Tim & Beau realised that the joy they experienced during an African drumming session was natural, unlimited and, under the right circumstances, could be experienced by anyone! Having benefits related to the happiness & productivity of both individuals, communities and organisations. 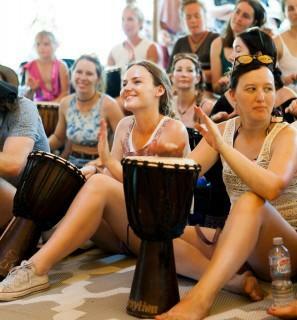 Through an ongoing self-study of African rhythms, philosophy, spirituality, science & religion, Tim has developed a unique & grounded perspective on the psychology and mechanics of unveiling our natural joy through group African drumming circles. 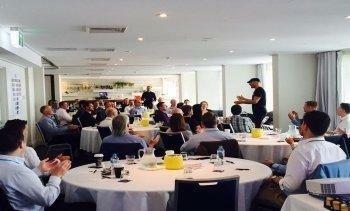 His sessions are always light hearted, fun and extremely powerful!